Information is a key part of relocation services is very much driven by local knowledge and expertise, this is something at QRC we continue to invest in so we can provide accurate and clear information in regard to all aspects of living in Jersey. Our role is to assist prospective new residents and aid them in their decision making process. 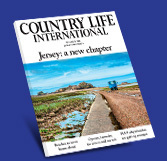 To start off this process we provide a bespoke initial introductory information pack with a broad selection of information about living in Jersey. For answers to the more detailed questions we have a library of information sheets and we provide all clients with an Arrivals pack with a whole host of useful information to help them in the early stages of transition, including checklists of what must be completed as a priority upon arrival. Although we don’t always have all the answers, we do have a wealth of information to share and if we don’t know the answer ourselves, we usually know someone else who does! As we act independently our priority is to ensure that any queries or questions are handled efficiently, objectively and – if required – in confidence to assist with the decision making process.